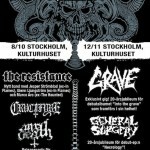 We’re celebrating the re-release and the 20th anniversary of the Necrology EP on Saturday November 12 at Kulturhuset, Stockholm. 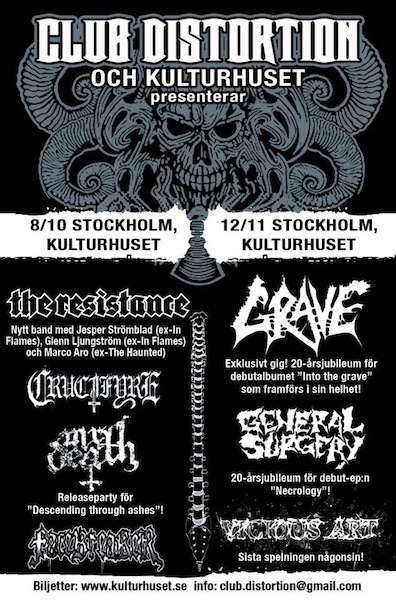 Also on the bill are Grave who are playing their legendary first album in its entirety, along with Vicious Art who are playing their final show. Expect a Necrology-heavy set from yours truly plus maybe a some new treats. We’ll see what happens. This entry was posted on måndag, 17 oktober, 2011 at 14:30	. You can follow any responses to this entry through the RSS 2.0 feed. You can leave a response, or trackback from your own site.